Acquire a high school diploma or GED. A GED or Diploma is essential in equipping you with basic mathematics, science and shop-class skill that will foster success as an HVAC technician. Moreover, you may be required to have proficiency in computer skills, which will increase your efficiency in operations. Your GED IS a valid requirement of joining college and training institutions, and increases your chances of being hired for more hours; it may also provide for fringe benefits that are allowed by your employer, which may include health benefits and retirement plans. To be a competent HVAC technician, you will need a certificate of training from any recognized institution, which adds the weight of your portfolio and attracts employers seeking to hire trained professionals. The training programs instill hands-on skills that are relevant for performing highly specialized work. You will also acquire practical skills in the operation of new technology equipment and learn how to maintain safety during operation of such devices, which is mandatory for efficient management of your day-to- day jobs. With a certificate of training, you have higher chances of quickly getting hired and absorbed into the job market, however, you may also find apprentice programs that offer paid training to employed individuals. These apprentice programs may run for three and five years sought after due to their compensations. Lately, there have been numerous apprentice programs budding following increased market demand, though you will still need certification. 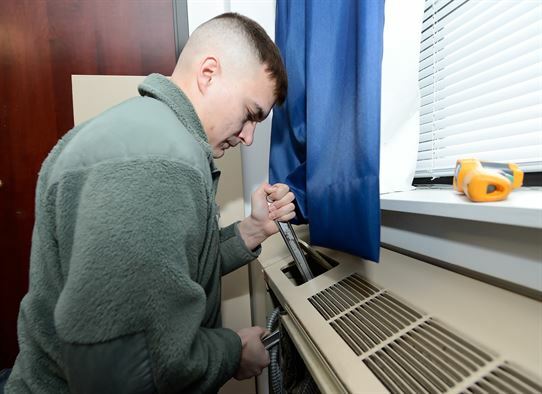 The conduct of HVAC operations and services may require that you have a permit. Licenses, however, is varied from state to another, with some requiring it and others not. A grant proves to be necessary for both your personal and your professional needs viewed as the hallmark of quality professional services. It also gives you authority, increases your flexibility and places you at the top of your game. Get your EPA (Environmental Protection Agency) certification. This certification may only be necessary for technicians whose work may involve refrigerants. HVAC technicians with EPA certificates are highly recommended for work as they are the right people to detect and prevent possible harm that may arise from the work and apply strict measures to avoid or control imminent danger. Homeowners and HVAC experts who ignore the significance of such are prone to be subjected to monetary fines and penalties. The acquisition of an EPA certificate requires you to sit for a test after conducting a refresher course. With the current laws and regulations of the EPA being tougher in the protection of individuals from environmental hazards, getting certified is the key to success. To avoid legal implications that would end up being disastrous to your reputation leading to loss of clients, always do things the right way. ← Is Inverter-Type Air Conditioning System More Energy Efficient?